The oldest works of architecture in Spain of which rests are left go back to the megalythical culture, approximately 3000 b.C. Anyhow, they are probably not exactly what you expect to find here. Lots of Roman monuments are conserved too , among the most important being the great aquaeduct of Segovia and the amphitheater of Mérida. Absolutely stunning is what Moors have left in this country. 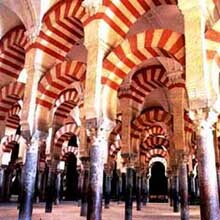 The Great Mosque of Cordoba is one of the most visited sights by tourists, the other of course being Granada's Alhambra which is perfectly conserved in its original condition. The Spanish Moors created a style of their own that differs in many aspects from their traditional architecture which you may find in Africa and introduced several novelties.This style is called Caliphal style. The Christians who lived in Muslim territory were called Mozarabes, and so is called their particular architectonical style which combines Visigothic construction technics and caliphal style . 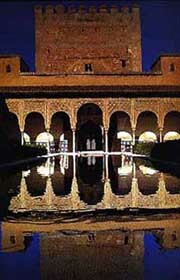 After the country was reconquered from the Muslims, Moorish architects who stayed developed another new style combining their traditional architecture with Romanesque and Gothic elements, the Mudejar style. While most of Spain was occupied by the Moors, there existed still Visigoth kingdoms in the country's north. 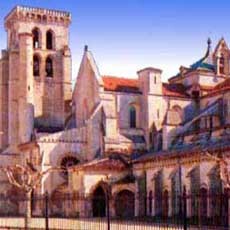 There you can find important monuments of Visigoth and Romanesque styles , of the latter in particular along the "Camino de Santiago". In 12th century Gothic style was introduced in Spain , arriving to its greatest importance during 13th century when the cathedrals of Burgos , Toledo and Leon were built. Gothic in Spain combines frequently with Mudejar-elements. Plateresque style is the Spanish variation of Renaissance style. The word comes from "plata", silver, indicating that it is much richer in ornamentation than for instance Italian Renaissance style . One of the most representative monuments is the University of Salamanca . Baroque in Spain falls together with the country's perhaps most glorious epoch. Two opposite approaches may be observed: the works of Juan Herrera are remarkably austere (e.g. 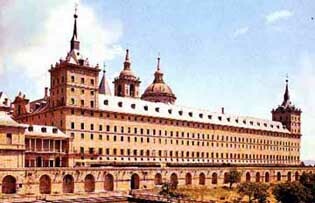 Monastery "El Escorial" , close to Madrid) while Churriguera used extremely rich ornamentation. In Galicia exists another variation of baroque style, the so-called Baroco Compostelano , with Santiago de Compostela as its center. In Modernism Spain played again a highly important role. 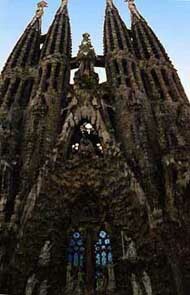 Most outstanding are perhaps the works of Antoni Gaudí in Barcelona, as his great cathedral "Sagrada Familia" . Until today Barcelona in particular has remained a center of modern and even futuristical architecture.